Rinse the oysters totally with water, pat dry with paper towels. Coat all oysters well with corn starch, follow by the crushed eggs, and eventually panko. Shake off the surplus panko. Heat up a deep frier or a pan with enough oil for deep-frying. 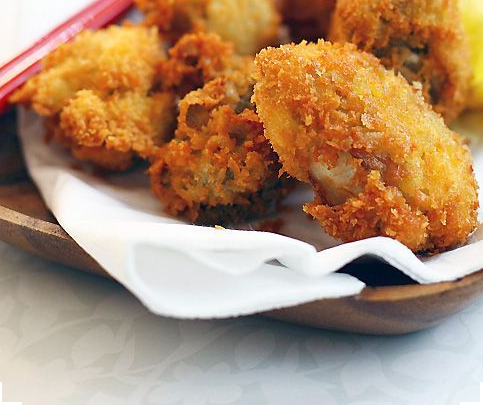 Fry oysters till golden brown, then transfer the cooked oysters out employing a slotted spoon. Drain the surplus oil on a plate lined with paper towels. Serve with some lemon wedges, dressing or tonkatsu sauce. 0 Response to "Fried Oysters with Panko (Kaki Furai/Kaki Fry)"